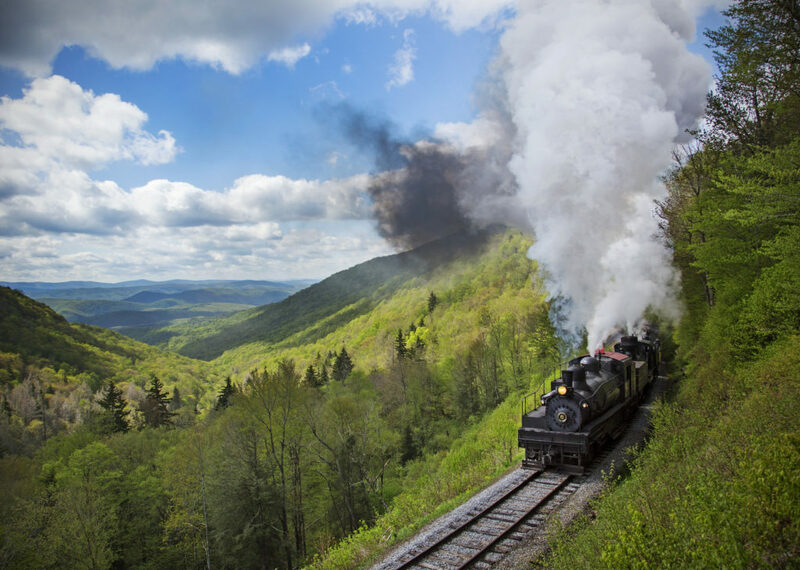 Experience West Virginia’s beautiful mountain landscapes onboard one of the Durbin & Greenbrier Valley Railroad’s Mountain Rail Adventures. 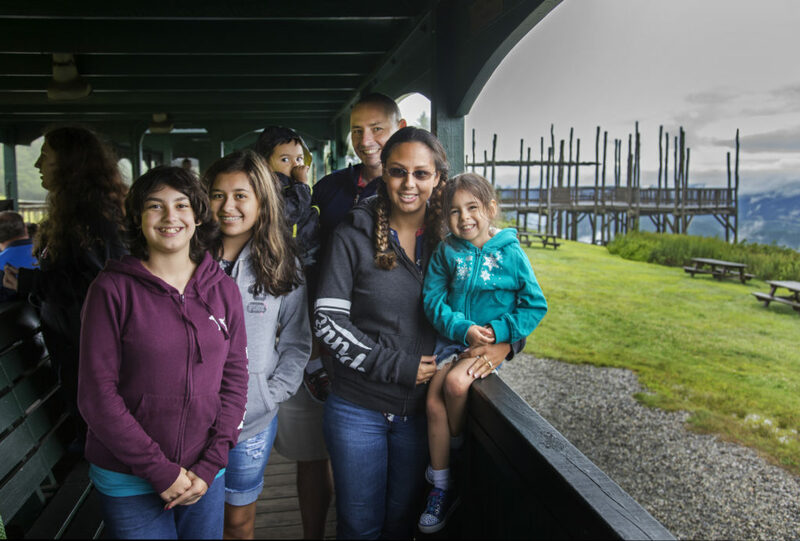 Spring train rides will begin on Saturdays in April with our spring-summer schedule taking effect Memorial Day Weekend in late May. With three depot locations and six regularly scheduled trains, there’s a destination for everybody! 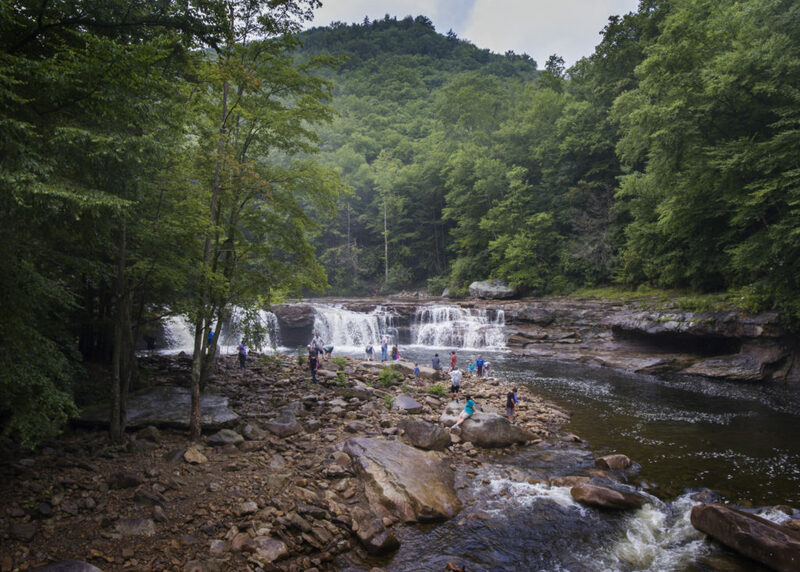 Enjoy our tourism hub by visiting historic downtown Elkins and combine the town’s local food, live music, craft beer, and the arts with a train ride to the High Falls and back onboard our New Tygart Flyer. 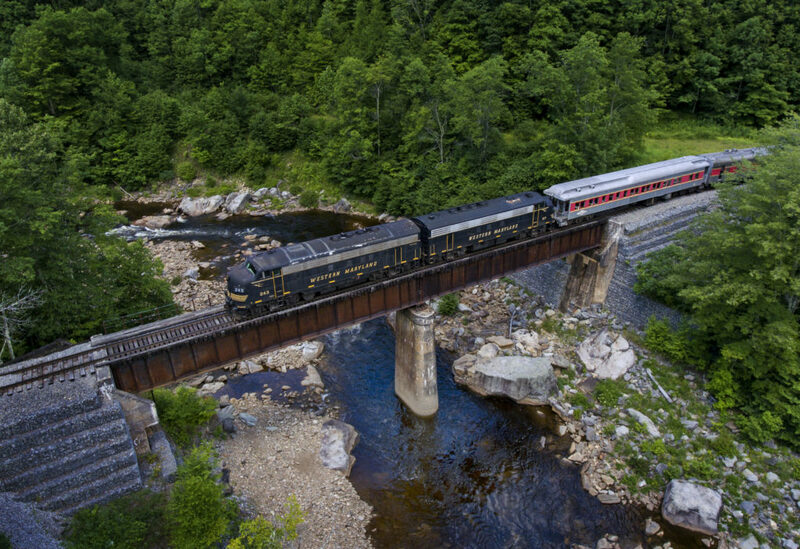 This 46-mile round-trip excursion features a sandwich buffet lunch, scenic layover at the High Falls, and live music onboard our train. 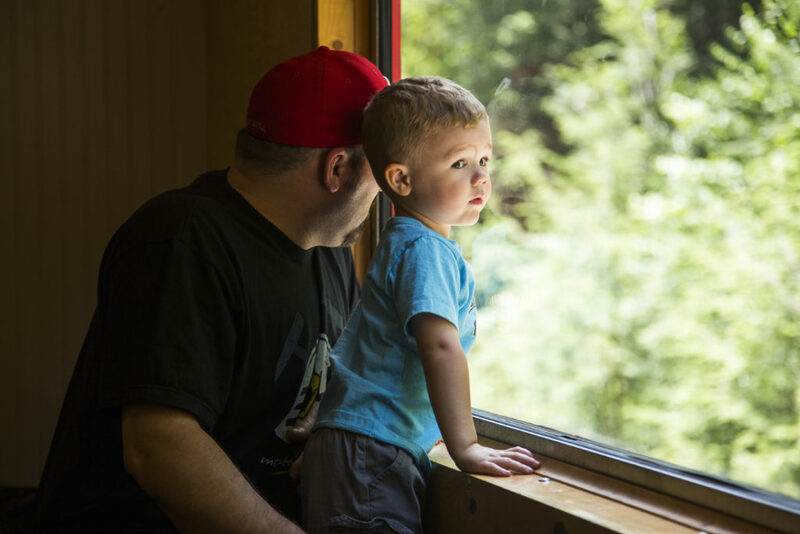 Take the trip an extra step and reserve our parlor car seating for additional comfort and your own train attendant. 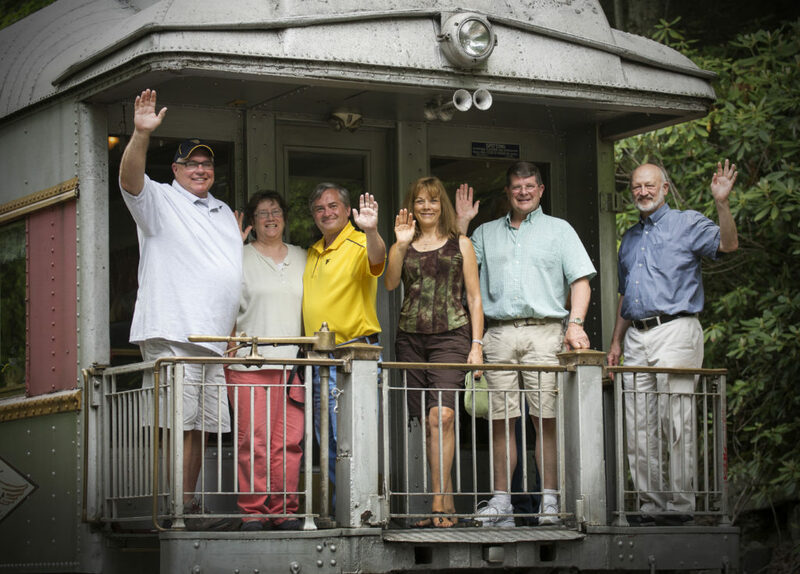 For a different vibe, plans your visit to Elkins on a select Saturday when our Mountain Explorer Dinner Trainis running. 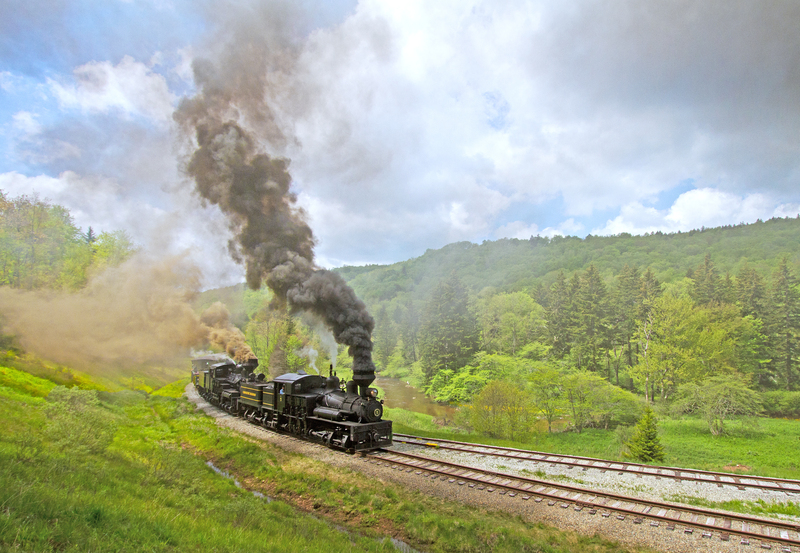 This 4-hour, 4-course dinner train is West Virginia’s premiere dinner train experience and includes a beautiful evening ride to the High Falls and back featuring your choice of prime rib, chicken, or seafood. Parlor car upgrades also available on our dinner train. 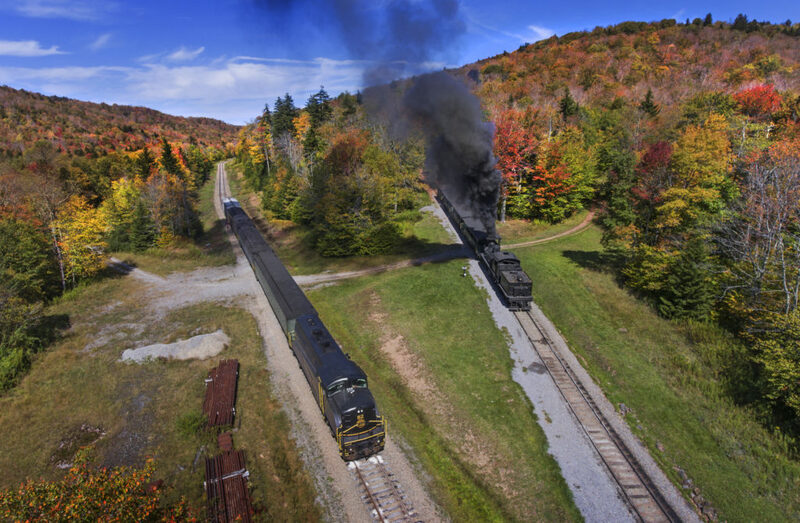 Step back in time in an area where cell phones do not work and relive history onboard our Cass Scenic Railroad in Cass. Here we have the largest collection of Shay steam locomotives in operation in the World – many of which spent their early days hauling timber off the mountains of the very route our tourist trains travel today. These more than 100-year-old titans of the timber travel to some of West Virginia’s most remote destinations in existence. 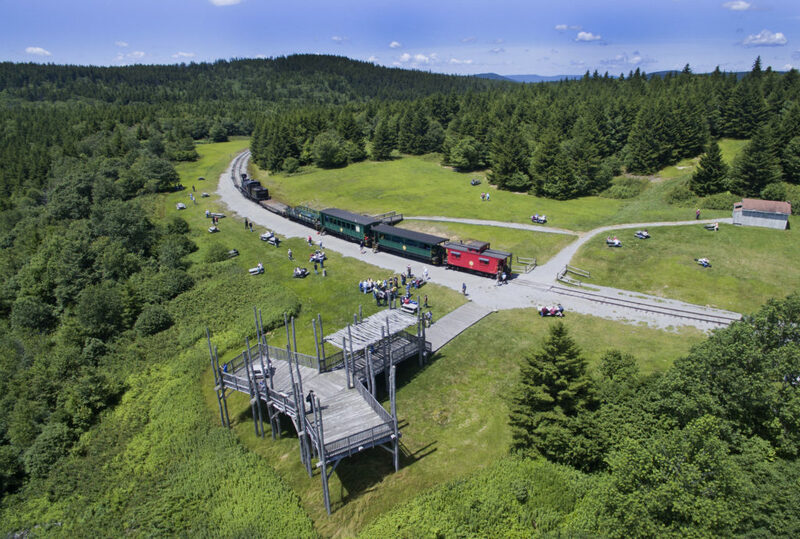 Experience the history and beauty as you travel to Whittaker Station – a former logging camp – and continue upgrade to one of the highest mountain overlooks at Bald Knob. Our Whittaker excursions are 2-hours long and the flagship Bald Knob excursions are 4.5-hours long and feature an onboard lunch. For full scheduling, our 2019 calendar, and special event lineup, visit our website at www.mountainrail.comor call 304.636.9477.